1. There is a German Stammtisch in Seaside! Try their Schnitzel and Schweinebraten and feel like being at your grandmother&apos;s house. They also host parties and celebrate the Oktoberfest. German beer, of course, is also available. 2. Lindt chocolate and Haribo gummy bears are by now available in all big supermarkets. Of course, they lack the variety of German retailers, but it still tastes like home. By the way, they also offer tennis socks and undershirts if you want to get the real German tourist feeling. 3. Take your dog with you. In general, America seems much more dog friendly than Germany. You can bring them to many shops, beaches or shopping malls. Monterey&apos;s trails are beautiful places to go for a walk. Sometimes, a furry friend is all you need to feel at home. 1. Except for one humpback whale accidentally drifting around in the East Sea, we are not used to seeing any big marine mammals. The Monterey Bay National Marine Sanctuary is one of the most lively and vibrant places of marine species underwater and above. 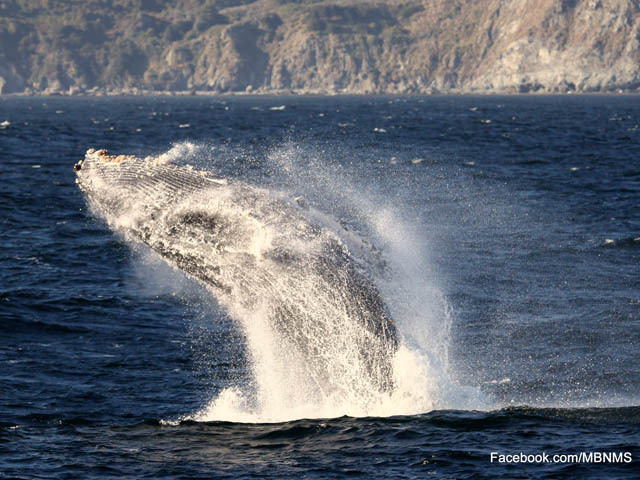 Gray whales, humpback whales, blue whales, orcas, fin whales, minke whales, sperm whales, beaked whales and eight dolphin species can be observed even from the shore. Nevertheless, I would strongly recommend doing a whale watching tour to have a guarantee to see them from short distance. Their sheer size is impressive, especially when you see how they manage to throw their whole body weight up in the air. 2. 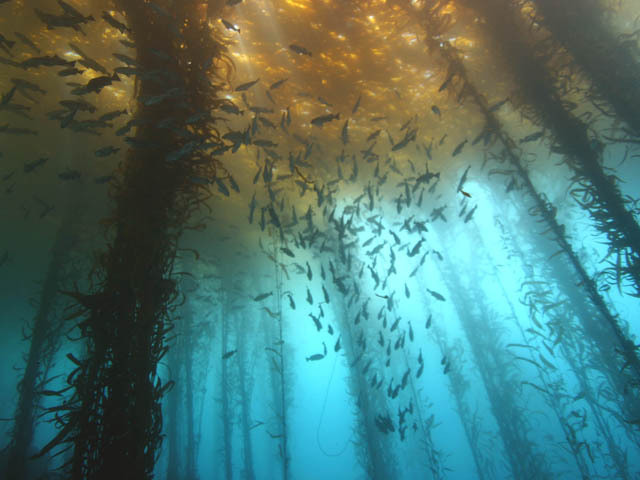 The Monterey Bay National Marine Sanctuary&apos;s kelp forests are one of the most unique underwater sceneries in the world. I highly recommend scuba diving through the so called "Serengeti of the sea". The mystic atmosphere of diving through the orange kelp leaves with sea lions or harbor seals passing by is a thrilling experience! Just go to one of the many dive clubs and they will assist you with finding a dive guide and with renting the equipment. An experience not comparable to dirty German quarry ponds. 3. Get your hiking boots out of your basement from the last trip in the Alps and explore the Big Sur coast! As a German being used to high mountains and hills, you might think the Californian coast cannot be a challenge. You are wrong! The greatest views over the ocean have to be earned on one of many tracks in the different parks of Big Sur. I especially enjoyed hiking the Ewoldsen in the Julia Pfeiffer Burns State Park. Walking 4.5 miles through an untouched forest with the steady sound of the nearby waterfall and birds singing was a real distraction to the sometimes stressful everyday life. The view from the hill down to the Pacific which was illuminated in all shades of blue was worth the steep rise to the top. If you listened close enough, you could even hear sea lions bark. 4. Only in the north of Germany you can find flat cycle paths similar to Monterey&apos;s. Almost without effort you can cycle along the beautiful shore of Pacific Grove on the Monterey Peninsula Recreational Trail. Different than in Germany, cars respect bicyclists which makes the ride less stressful. My favorite part of the route starts close to the Monterey Bay Aquarium and ends near the Point Pinos Lighthouse in Pacific Grove. You should start about an hour before sunset to see the area in a complete different light. Residents prepare for the night, tourists drive to their hotels, people walk their dogs. It&apos;s one of the most peaceful atmospheres you can imagine. With a little luck you can even see whales breaching on the horizon. 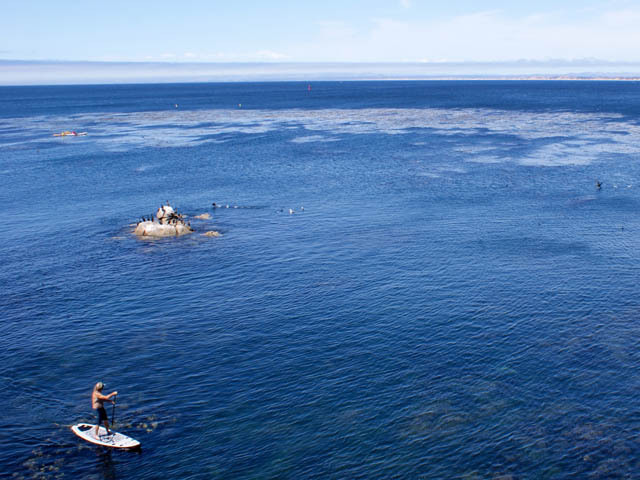 Most definitely, you can observe pelicans and cormorants flying inches above the water and otters getting ready for a nap by wrapping in kelp. 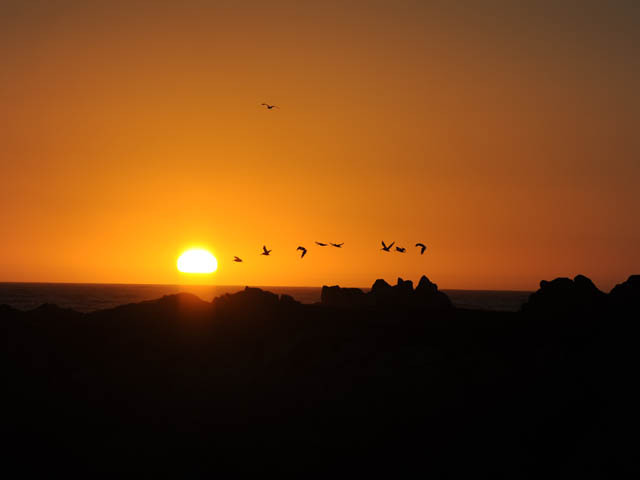 Pacific Grove&apos;s sunsets are the most beautiful I have ever seen. 5. Try something new! Germans are known for being creatures of habits. Monterey showed me how much fun it is to get out of my comfort zone. There&apos;s a huge variety of activities that are particularly unique in the area. 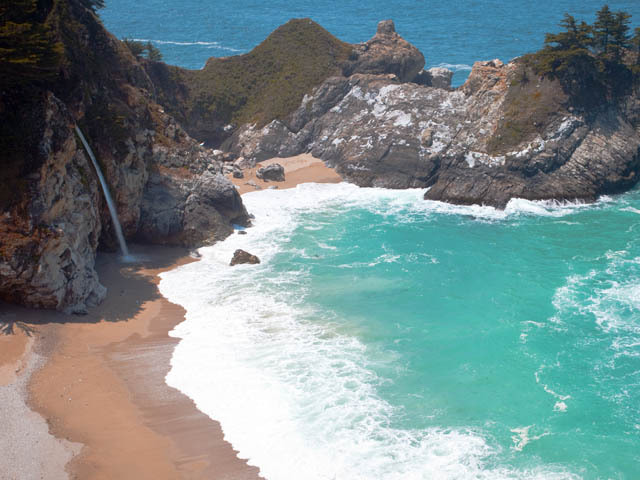 Go horseback riding on the beach, go hang gliding from sand dunes in Marina, rent a helicopter to do whale watching from above, join Monterey&apos;s ocean water polo team, explore the wildlife on a stand up paddle, do the world&apos;s highest skydiving and go tide pooling to see all those amazing underwater creatures right below your feet. Usually, I would end with the recommendation not to take any pictures of your trip, but just to enjoy nature and the quality time with your loved ones. This time I have to do the opposite. Monterey Bay National Marine Sanctuary hosts the "Get Into Your Sanctuary" weekend from June 27 to June 28. In this contest, we would like you to share pictures of yourself enjoying one of the large variety of activities in the sanctuary and post it on Facebook under the #VisitSanctuaries and make sure the post is public. With that you can not only win a t-shirt from our Santa Cruz Exploration Center, but you also rase awareness for the beauty of the sanctuary and show that it is worth protecting it. I hope, I was able to inspire you to some great activities in the sanctuary that you want to share with others to show them what they might miss. Since I was six years old, I wanted to become a marine biologist. I was passionate about whales and scuba diving. After graduating from school, I decided to play it safe by studying the most general subject: International Business Administration. In my first year during my studies I realized that protecting the environment, especially the oceans was still my biggest goal in life. This is why I have decided to join Monterey Bay National Marine Sanctuary for an internship in marketing and social media this summer. One year from now, I will receive my Bachelor of Science degree and will start my Master's program in Sustainability Management or Environmental Studies. Back home in Germany, I am involved in politics to raise awareness for the oceans in all three important fields: economy, government and public.